Art Ambassadors – CASA HOGAR Deutschland e.V. We at CASA HOGAR are thankful for any resources that generate attention and support for our cause. Yet, we are especially proud that we can call harpist Magdalena Hoffmann, composer Ludger Vollmer and the choir fiat ars our “art ambassadors” that multiply a very selected and worthwhile form of attention. All three art ambassadors share a sense of responsibility for society and gladly represent CASA HOGAR in public. Magdalena was destined to be a harpist. Everyone who has been lucky enough to experience her in concert would agree. Her career is a reflection of her talent: she became the solo harpist of the symphony orchestra of Tirol in Innsbruck at age 24. Today she is 26 and teaches at the Tiroler Landeskonservatorium. Several scholarships as well as awards in national and international competitions are a confirmation of her talent, but not necessary to appreciate her performances. Essentially two things have allowed me to live my life the way I wish: My education and a place that, up until today, I can call home. It is CASA HOGAR’s declared goal to provide the very same thing for young girls: an education and a home. Thereby, these young girls and the community they live in should be given better prospects. This matter has truly touched me and I want to contribute as much as I possibly can to help this project succeed. Magdalena Hoffmann was born in Basel in 1990. She moved to Düsseldorf in 1999 where she later completed her bachelor studies with Fabiana Trani at the Robert Schumann University, followed by her master studies at the University for Music and Dance in Munich. During a year abroad at the Royal Academy of Music in London she attended jazz classes with Park Stickney. Several master classes with the great harpists of our time (e.g. Fabrice Pierre, Isabelle Moretti and Mara Galassi) round out her education. Magdalena received an episcopal scholarship through the Cusanuswerk and through the Yehudi Menuhin Live Music Now association, she was awarded a music scholarship by the GenRe Cologne and a sponsorship by the Hauck und Aufhäuser Kulturstiftung, as well as several other awards in national and international contests, such as the 1st prize at the international Concours Français de la Harpe and the 2nd prize at the international harp contest in Slovenia. On top of that she was a scholar of the PE-Förderung für Studierende der Musik e.V. which enabled her to purchase her current instrument, a Salvi Iris. In 2014, she was the guest “Celebrity Master” at the Harp Masters Festival in Switzerland where she performed for the first time her theater concert “Odyssey on 47 Strings”. 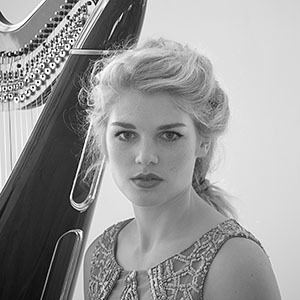 Magdalena’s professional career as an orchestra harpist began with an internship at the Symphony Orchestra of Münster after which she worked as solo harpist of the Symphony Orchestra of Osnabrück. She later became the solo harpist of the Symphony Orchestra of Tirol in Innsbruck where she has been working ever since while also teaching at the Tiroler Landeskonservatorium since 2015. Magdalena Hoffmann is a popular Kammermusikerin and is particularly interested in transcending artistic boundaries while rearranging concerts and developing new musical concepts. Ludger Vollmer’s reputation precedes him: as Germany’s most successful opera composer he has created great works such as “Lola rennt”, “Border” and “Gegen die Wand” for Germany’s renowned operas. Through Ludger’s accessible music he has been able to reach the general public apart from what he calls the “Donaueschinger Musikelite”. Jonas Dickopf, also active in the CASA HOGAR team, has been directing the choir fiat ars since founding it in 2006. Today, fiat ars has a reputation as one of the best choirs in the Rhineland. 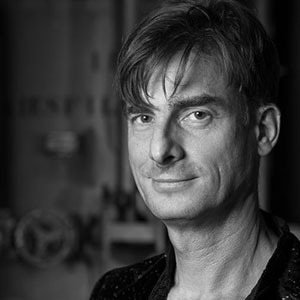 The sharp and fearless programs Jonas Dickopf develops with fiat ars, together with their high tonal quality, make them one of the most interesting entertainers of sacred choir music in Cologne’s music scene. 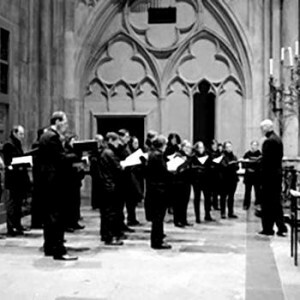 fiat ars is the chamber choir of the Catholic University Cologne. Since 2006 the choir has acquired an impressively broad repertoire of religious choir music of all epochs (with a focus on contemporary compositions). Four concert tours led fiat ars to Mainz, Metz, Kehl, Saarbrücken and Worms (2012), to the Netherlands (2013), to Hamburg and Lübeck (2015) and to Bavaria (2017). fiat ars regularly perform concerts throughout Cologne and its vicinity, and can be seen in mass or other liturgies – in the Cologne Cathedral, in the twelve Romanesque churches, as well as “at home” in the Johannes XXIII. Church, the church of the Catholic University Cologne. has been conducting fiat ars since its foundation. Born into a musical family in 1982, he later studied philosophy and German philology in Bonn and Cologne. He completed the kirchenmusikalische C-Ausbildung (“Qualification for choral conducting”) in the Archdiocese of Cologne. He was musically shaped by his teachers Erik Sohn and Boleslav Martfeld, as well as his time in the choir of the Cologne Cathedral conducted by Professor Eberhard Metternich.